Bob has created citizen brigades throughout his district to tackle quality of life issues, starting with graffiti. Eventually he wants to cut down on litter and illegal signage. Graffiti in the 2nd district - particularly on I-95 and CSX overpasses - is bad, and neither the DelDOT nor the railroad, have the manpower to keep after it, he said. Volunteers are given instruction on safety and proper use of the state supplied materials. Councilman Weiner's Citizens Anti Graffiti Brigades have wiped out most graffiti in our community. Thank you Captains! I am pleased to report that most graffiti has been eradicated from the community I represent. Cleaning our streets of visual clutter sends a message to would-be criminals and vandals that our community is on guard! 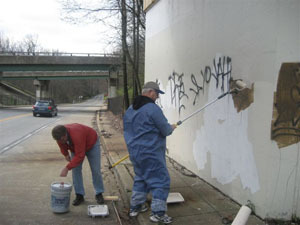 The Citizen Brigades operate immediately after graffiti appears or re-appears on publicly owned structures in order to frustrate graffiti vandals. We are legally prohibited from climbing up on railroad bridges because of safety and liability concerns. We will provide technical assistance to private landowners; however our mission is directed to publicly owned structures. I am proud to have launched the Anti-Graffiti Brigades Program in 2007 with the assistance of wonderful citizen volunteers. These photos demonstrate how we are winning the battle to eliminate graffiti and take control of our communities from graffiti vandals. 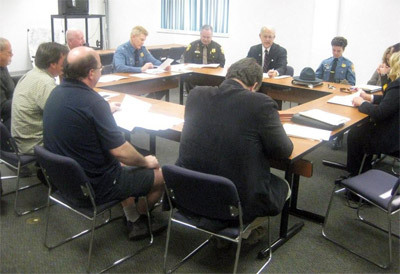 Our Citizen Brigade Captains and I have worked hard for you to create and maintain this very successful program. 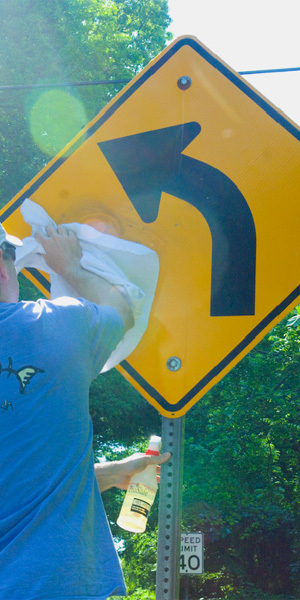 To help cleanup Brandywine Hundred, please contact Bob and we will notify you before the next project. View the anti-graffiti brigade flyer. Congratulations to the Citizens Anti-graffiti Brigade Captain Chuck Stirk & Captain Mike Ansul for a successful completion of our most challenging undertaking. Our entire community will forever be appreciative of their selfless commitment to eradicating this scourge upon our beautiful vista. Please report any tags on the East Penn RR Bridge to our local police. If you are not available to join the Citizens Anti-graffiti Brigade when we are “on duty”, you can still combat graffiti on your own by using “Certol” graffiti remover. 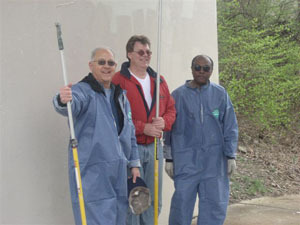 The Green Building Solutions & Supplies' Soy based graffiti remover may be a better option for large jobs. See www.greenbuildingSS.com. Click here to view the instructions and data sheets. Read what these cities have to say about us by going to testimonials. Use the Products trusted by more cities than any other products on earth! Follow our Proven Strategies For A Graffiti-Free City. Enjoy the advantages of working with a team of experts. Share our valuable tips for working with volunteers. 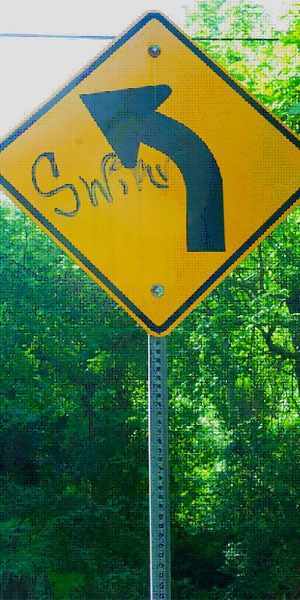 The Citizens Anti-Graffiti Brigade Cleans Up Shipley Road. 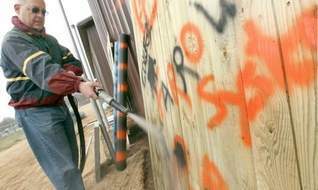 New Castle County Councilman Bob Weiner cleans graffiti from a sample wooden fence with the Farrow System, which uses water and pulverized rock to remove paint without damage to the surface. 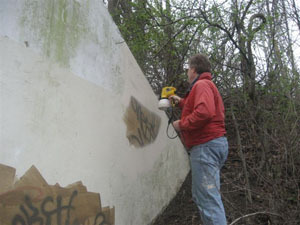 A West Chester, Pa., company donated the $16,000 machine to the Citizens Anti-Graffiti Brigade, a volunteer group. Businesses in need of graffiti removal or potential volunteers, please contact Bob for more information. The Farrow System was developed for cleaning racing yachts in England by Nigel Farrow, who moved to this country a few years ago to market it. Read the full News Journal article. In his never ending fight to combat graffiti, New Castle County Councilman Bob Weiner has scheduled a demonstration for a new anti-graffiti “weapon” to help in the Citizens Anti-Graffiti Brigade fight against graffiti. The new weapon, the “Farrow System” may soon be added to the brigade arsenal to fight this battle. The Farrow System® is a revolutionary, environmentally safe, and cost effective surface cleaning method that quickly removes protective coatings, oxidation, and graffiti from surfaces without damaging them. After seeing the “Graffiti Wars” story in a local newspaper, John Skross, Vice President, Farrow System USA, Inc. contacted the office of Councilman Weiner. He advised that his company manufactures a low pressure, environmentally friendly, chemical free, coating removal system, called the Farrow System (www.farrowsystem.com ) One of the applications is graffiti removal which will remove paint off of natural wood, trees, brick, stone without damage to the surface underneath. 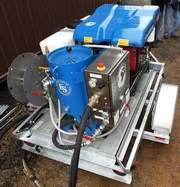 Councilman Weiner has scheduled a formal presentation of the Farrow System to the Citizens Anti-Graffiti Brigades combined with a demonstration of this equipment for Saturday, March 28th at 2:00pm at the DelDOT Talley Yard Maintenance facility. 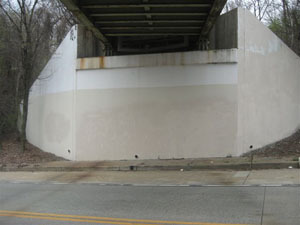 The demonstration will counter attack the graffiti which is visible from Interstate 95 and which was featured in the News Journal 2/15/09 article by Terri Sanginiti.